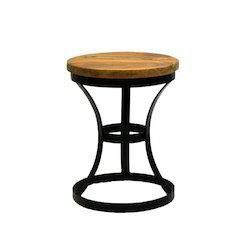 Pioneers in the industry, we offer designer metal stool, square metal stool, iron wood stool, metal furniture stool, metal sitting stool and metal stool from India. 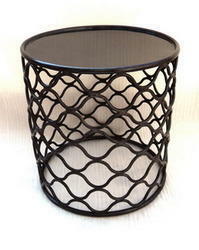 We are noted manufacturer and exporter of a vast range of Designer Metal Stool. This metal stool can be customized on different designs & colors to meet the customer’s choice. We design this metal stool using utmost quality material & modern tools in accordance with the set standard of markets. Offered metal stool is tested on various parameters for supplying a defect free range at customer’s end. We are remarkable entity, engaged in offering optimum quality Square Metal Stool. Our offered metal stool is designed by our skilled professionals using optimum quality material and innovative techniques following the market norms. This metal stool is inspected on various parameters of quality for dispatching a flawless range. 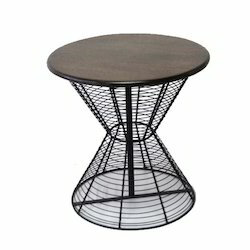 In addition to this, clients can avail this metal stool from us in different sizes and designs. 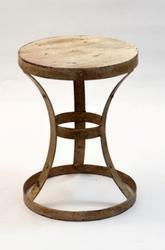 We are one of the prominent manufacturer and exporter of superior quality Iron Wood Stool. The provided metal stool are designer in appearance and are corrosion resistant in nature. This stool is designed from utmost quality material and modern tools, keeping in mind the norms of industry. The offered stool is available from us in different sizes & color options, in order to fulfill exact requirements of our customers. 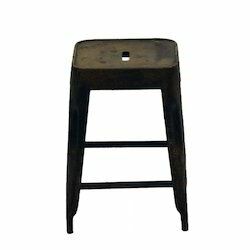 We are noted manufacturer and exporter of a vast range of Metal Furniture Stool . This metal stool can be customized on different designs & colors to meet the customer’s choice. We design this metal stool using utmost quality material & modern tools in accordance with the set standard of markets. Offered metal stool is tested on various parameters for supplying a defect free range at customer’s end. 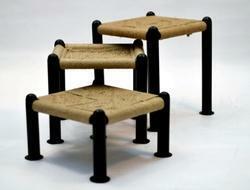 We are noted manufacturer and exporter of a vast range of Metal Sitting Stool . This metal stool can be customized on different designs & colors to meet the customer’s choice. We design this metal stool using utmost quality material & modern tools in accordance with the set standard of markets. Offered metal stool is tested on various parameters for supplying a defect free range at customer’s end. We are noted manufacturer and exporter of a vast range of Metal Stool. 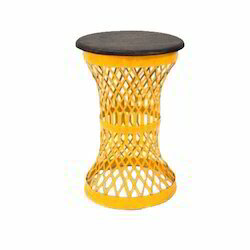 This metal stool can be customized on different designs & colors to meet the customer’s choice. We design this metal stool using utmost quality material & modern tools in accordance with the set standard of markets. Offered metal stool is tested on various parameters for supplying a defect free range at customer’s end. 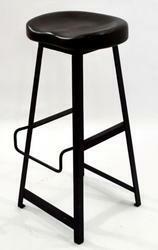 Our company has mastered the art for providing Metal Bar Stool to the clients. This product is offered to customers in various designs, sizes and shapes along with customization facility. Offered range is extremely appreciated in the market due to attributes like unblemished finish, graceful design, high strength, comfort and many more.